Mumbai: The High Powered Committee on Urban Co-operative Banks (UCBs) has recommended that the business size of Rs 20,000 crore may be the threshold limit beyond which a Urban Cooperative Bank (UCB) is expected to convert itself into a commercial bank. The conversion will not be de jure compulsory. However, the types of businesses to be undertaken by those choosing not to convert will remain within the limits of plain vanilla products and services and hence, their growth will be at a much slower pace. Their expansion in terms of branches, area of operations and business lines will also be carefully calibrated. 1. Conversion of UCBs into Small Finance Banks (SFBs): Smaller UCBs with business size of less than ₹ 20,000 crore willing to convert to SFBs can apply to the Reserve Bank for conversion provided they fulfil all the eligibility criteria and selection processes prescribed by the Reserve Bank and further provided that the licensing window for SFBs is open. 2. Issue of fresh licences: Licenses may be issued to financially sound and well-managed co-operative credit societies having a minimum track record of 5 years which satisfy the regulatory prescriptions set by the Reserve Bank as licensing conditions. For providing banking access in unbanked areas, the Reserve Bank may put in place an appropriate set of incentives for existing banks to open branches there. 3. Board of Management (BoM) in addition to Board of Directors (BoDs): Putting in place a BoM as suggested by the Malegam Committee has to be one of the mandatory licensing conditions for licensing of new UCBs and expansion of existing ones. In case of conversion of co-operative credit societies in unbanked areas and in the north-east, suitable relaxation may be made by the Reserve Bank. 5. Depositors as voting members: The depositors ought to have a say on the Boards of UCBs. For this, a majority of the board seats may be reserved for depositors by making suitable provisions in the bye-laws. It may be recalled that on January 30, 2015, the Reserve Bank had announced the constitution of a High Powered Committee (HPC) under the Chairmanship of Shri R. Gandhi, Deputy Governor, Reserve Bank of India to examine and recommend permissible business lines and appropriate size, and examine the issues with regard to conversion of UCBs into commercial banks besides determining whether the time is opportune to issue new licenses to UCBs as recommended by the Expert Committee on Licensing of New UCBs (Malegam Committee). This was pursuant to the recommendation made by the Standing Advisory Committee (SAC) on UCBs in its meeting held on October 20, 2014. 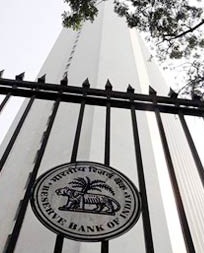 The Reserve Bank of India has placed on its website the Report of the HPC. Suggestiobs and comments on the Report will be received till September 18, 2015 by the Principal Chief General Manager, Department of Co-operative Bank Regulation (DCBR), Reserve Bank of India, Central Office, Garment House, First Floor, Dr. Annie Besant Road, Worli, Mumbai – 400 018 (Fax No. 022-24974030) or emailed.